Resembling a summer sunset, this fragrant bouquet is sure to spark someone's attention. Full and beautifully arranged, it is perfect for any occasion. 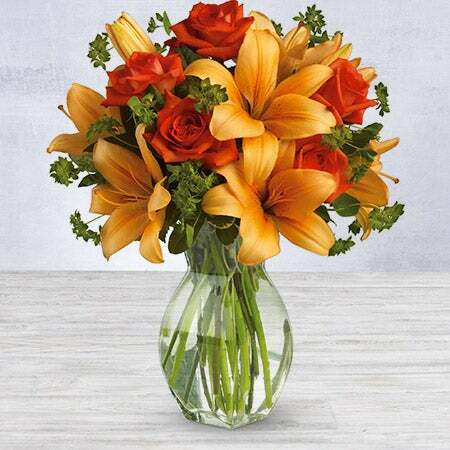 Features dark orange roses and orange asiatic lilies in a charming glass vase.